The Block Comes One Week After The Country's Prime Minister, Recep Tayyip Erdoğan, Issued A Statewide Ban On Twitter. 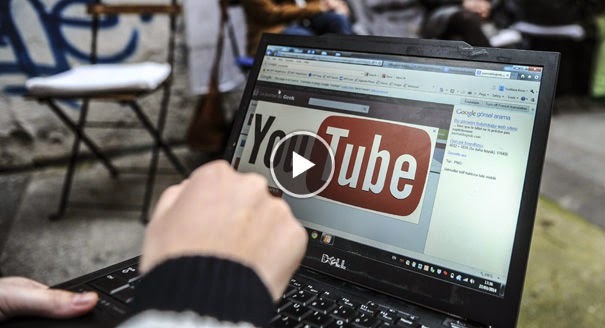 The Turkish government banned YouTube on Thursday, less than a week after Ankara made a similar blackout of the social networking site Twitter, which is estimated to have more than 10 million Turkish users. Neither website can be reached on Turkish Internet networks. The crackdown comes just days before Turks are expected to go to the polls in nationwide municipal elections. The Turkish government said its YouTube block came as a response to the leak of a conversation between top government officials purportedly discussing the possibility of going to war with neighboring Syria. Turkey's top media regulating agency announced a similar ban on the broadcast of the conversation to television and radio channels. "It is seen as appropriate that a temporary broadcast ban be implemented on the voice recordings on social media and alleged to be between the foreign minister, the head of the National Intelligence Agency and military officials," the Radio and Television Supreme Council -- Turkey's chief media regulating agency -- announced on its website. Turkey's political elite has been battered by a campaign of wiretap leaks recorded by unknown operatives and distributed daily for more than a month on the Internet. Until Wednesday, all of the wiretaps seemed to be recordings of phone conversations between Turkish Prime Minister Recep Tayyip Erdogan, his inner circle, government officials and some top corporate executives. Erdogan has called some recordings "immorally edited material," including a conversation in which a man who sounds like the Prime Minister purportedly instructs his son to hide tens of millions of dollars in cash from police investigators. But he has also confirmed the authenticity of other wiretaps, in which he is heard instructing the head of a major television news network to cut short the live broadcast of a rival politician's speech in Parliament. Turkey's government has accused social media platforms, including Twitter and Facebook, of being used to spread false information and lies since the leaked, high-level conversations from inside the current government have spread online. "We're seeing reports that some users are not able to access YouTube in Turkey. There is no technical issue on our side and we're looking into the situation," a Google spokesperson said in a statement. YouTube is owned by Google. Unlike previously leaked recordings -- which all sounded like telephone conversations -- the recording released on Wednesday sounds like audio coming from a microphone planted in a room where a meeting is being held. Male Turkish voices can be heard discussing whether to send troops into neighboring Syria, where Turkey has supported rebels against the government in Damascus during a conflict that has lasted more than three years. "Monitoring such a meeting of a highly confidential nature which was held at a location such as the office of the Foreign Minister, where the most sensitive security issues of the State are discussed and releasing these conversations to the public are a despicable attack, an act of espionage and a very serious crime against the national security of Turkey," announced Turkey's Foreign Ministry in a statement on Thursday. The recording suggests a major security breach within the halls of the country's Foreign Ministry. The bans on Twitter and YouTube may be followed by a broader crackdown on the Internet. An official at Turkey's prime ministry, speaking on the condition of anonymity, told CNN, "If there are recordings similarly threatening to national security, there can be similar precautions taken on other social media." This week a Turkish court overruled the government's ban of Twitter, but the website is still blocked. According to legal procedures, Turkish authorities have 30 days to implement the court injunction.